What happens if you tell a good story, or a bad one? For most stories, the quality of the story will translate into readership – the better the story the more readers you’ll get. A poor story will mean less fans and less book sales. Every now and again,though, you’ll write a personal story that means something to you. These stories are the best and the worst to write, because you have a personal stake in not only its success, but also the subject matter. In this post, I’ll be a little more cryptic about my writing than usual. I’m not trying to be mysterious, or create suspense. It’s just that I really want to smash this story before anyone has the chance to read it. As I wait for my beta readers to finish their comments on False Sanctuary, I started writing a script that I’ve been thinking about for years. It’s a change in pace for me, moving from my usual sci-fi efforts to something a little more grounded and ‘real.’ What I’ve found with this project,though, is that while I enjoy writing other books and novels, this script is really hitting me hard. The scenes, even before they are polished and ready for readers, are bringing a knot to my stomach. 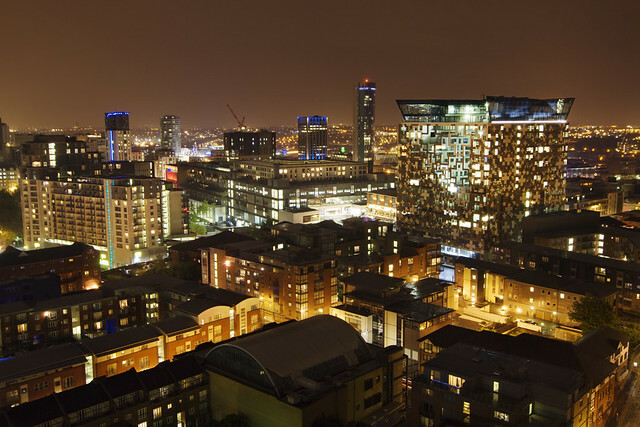 My next script is set in my home city, Birmingham. When I bring the subject matter up with family members, it’s obvious how deeply they were affected by the events I’m writing about, and how it changed things for them. I know have to do the story justice, because I may only get one chance to do it right. If I can’t get it right, I know that they won’t think less of me, but I’ll feel that it was a missed opportunity. I think the above paragraph shows what writing a personal story can mean to a writer. It’s easy to get carried away. The stakes are high, not just for the characters in the story, but also for the individual. This can lead to problems hitting you extra hard. So it’s important to be a little bit more aware, of a few things. If this story means everything to you, take the time to make it as good as it can be. Take that little bit longer to think about the characters and think about making the scenes more robust. If this is really your passion project, you should really take the time to make sure it works. Passion and energy for a project is hard to come by. I’ve almost stopped this blog entirely this year, and I’m really enjoying putting the thing together. But this story has stuck in your mind for a long time, the personal stakes mean that you’ll love writing it. So make sure you take a deep breath and analyse every single word, every sentence and every character. Why are they saying that? What’s the point of this scene? What will the reader/viewer think? It means that the project will probably take longer than some of your others to get down on the page. It will take even longer to get it out to other people. But you owe it to this story. It’s natural to experience self-doubt at some point, even if you love a story to bits. There will be a moment when you think that you’ve butchered the story, that you’l lnever be able to do it justice and you should just PUT. THE. PEN. DOWN. Deep down, passion projects are just projects, and you’re only human. Something will happen in the rest of your life which will shake you, or you’ll decide that something is a better story to work on. But stay focused, and make sure you finish that project. Just get something down, and the love will come back. To the rest of the world, this is just another story. You might think that this is the most personal thing in the world, but to everyone else, it’s just another script/book/poem in the middle of a thousand others. Remember that, and channel your passion for the project in other more positive ways. Why not put a little bit more effort into the synopsis than you would normally, or take the plunge and enter it into that competition that you’ve always wanted to. I can’t promise that by doing this your story will be more likely to be made, but at least you’ll know that you’ve tried as hard as you can. Even if it’s the wrong time, the story isn’t quite right, or it has to be parked until later, you will know that you’ve pitched this story as hard as you can, and you’ve tried your best. Notice how almost everything above talks about putting in a little more effort than usual? Sorry to break it to you, but if you’re going to embark on a passion project, remember that it’s going to mean a little more effort than you might usually put in to a project. But, remember, you can do this justice.